Got some Burda magazines lying around? Been collecting them, but never quite getting around to making all the projects that have caught your eye? Well, now’s your chance! 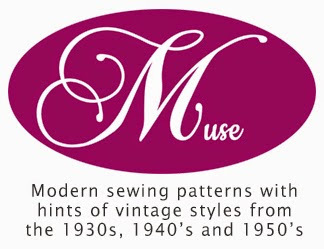 This May is Burda Magazine Sew Along month! An amnesty for all those lonely magazines that have been languishing in sewing rooms everywhere. Go on, be kind to them – pull them out, dust ’em off, and sew something up! Let them feel the love!! Here’s the low-down. 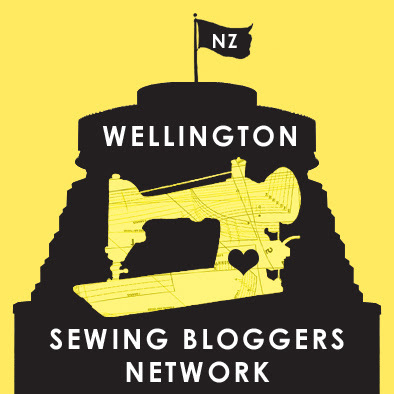 During May 2013, The Curious Kiwi and I will be hosting the inaugural Wellington Sewing Bloggers Network (WSBN) Burda Magazine Sew Along. (Long enough title for you? Yeah, we worked hard on that one.) There will be inspiration posts, tips and tricks, progress posts, and round-ups of what other people have been making as part of the sew along. You’ll be able to find links to all this goodness right here, on one page. Want to join us in showing the love to a Burda magazine or two? Comment below with your blog name and we’ll add ya to the participant list right here. There’s a Pinterest group board as well, where you can share your inspiration, patterns and creations – let us know your Pinterest user name in the comments below and we’ll invite you to the board. Got any questions? Once again, let us know below and we’ll do our best to answer them. That’s it everyone – sign up here, and have some Burda fun in May! Ok been following the curious kiwi blog for a while and now interested in joining this sewalong – nice to have one in kiwiland. I hail from the Waikato but love to visit Welly to see daughter at Vic. My pinterest user name is Jacsh. My mother used to sew us clothes from Burda and I have a few of her classics but was gifted the entire lot from 2001 to 2010!! So I have lots of choice. Gosh, all the magazines from 2001 to 2010 – that’s one impressive collection to choose from. Yes please! I am very envious of reading about all your meet ups!! would love to participate… I’ve got a dress I have been promising I will make myself for my cousins wedding in July – this could be the kick start I need! ooo I want to join this! It sounds like fun! oh can you change it over to my sewing blog rather than my life blog? That way people can see what I’m working on rather than my son or kitchen =) sewingforme.wordpress.com I also set up a Flickr account. That should do it right? How weird is this – just bought the latest Burda magazine tonight and thinking I really must make something out these things – they are not cheap.. How timely your challenge is, put my name down! Oh yep I’m in – great idea. Is it cheating that I’ve already started a couple already? Oh don’t worry there are more in the queue which I hope to have time for too …. before the month is out (May that is lol). this looks like much fun and I would love to join in. Perfect timing – I just bought my first ever Burda mag and I’m just slightly daunted, but excited. Count me in! Will look forward to all the tips & hints! Katherine, at WeSewRetro.com, has offered to post anyone’s notice of a sew-along, so more people will know about it. If you’re interested, see wesewretro.com/2013/04/sew-alongs/. Cheers! Better late than never, right?! 😉 Welcome to the sewalong! I am so joining in! I usually skip sew alongs due to time constraints, not having the right patterns blah blah but this is right up my alley. I have some Burda’s from the local library and already have made 1 top and a pants muslin so I cant wait to make more. Oh I forgot to ask too how do I get the button to put on my blog? Good point, I forgot to add the button code – whoops! I’ll have that up for you in the next hour or two! Wonderful – I have Burda Magazines going back over ten years – sounds like a great excuse to pick a pattern that has caught my eye. Love to join in – made my first dress from Burda Mag last weekend – and am now hooked! Personally, I love Pinterest. It’s so easy to see everything that people have pinned, and click through for details and to get to their blogs. I find it a lot easier than Flickr…. Oh I’m definitely in for this! I’ve moved my stack of Burda magazines to two different houses now, feeling guiltier each time. It’s totally time to put them to work. I want to participate but can I start latter? I will be home only at 10 may. Of course you can start later! This is a relaxed sew along – feel free to start whenever in May you’d like. 🙂 The aim is simply to make one (or more!) things using Burda Style patterns during May. I’m in, but am blogless! I’d love to join. I have rather a lot of Burdas that I spend a lot of time looking through but I don’t get around to making anything so this sew along is what I need. I’m in! My first Burda mag make was next on my list anyway. Well, I’ll attempt to be in, I’ve got a lot going on in May! I really should join this, I used to make so much from Burda magazine in the 80’s and 90’s, I learnt to sew using those patterns, but I gave away my collection of magazines one move and I haven’t made anything from one in ages. I have bought a couple of magazines over the past few months but haven’t actually made anything from them yet – so please count me in! Welcome!! 🙂 Looking forward to seeing what you make! I’ve had trouble finding a newsagent that stocks Burda magazine but I do have a Burda coat that I want to make. So if that’s ok, I’m in! Pingback: May means Burda Sew Along! | Thanks! I made this myself! I found this sewalong through the Curious Kiwi blog, which I recently started following. I have been collecting some of the free patterns on the Burda website, and I was inspired to purchase a few Burda Style magazines after the February 2012 issue received such rave reviews online. I really need this sewalong to motivate me to complete some of the patterns, now that I own the magazines. This will also go along nicely with my Me Made May ’13 pledge. Thanks much for hosting! Thank you. And sorry, I mis-typed that – I meant the February 2013 issue. But actually, the March 2012 issue has some interesting patterns, including a Chanel-style jacket. I would like to join in if that is OK. Burda is my favourite sewing source, but I have a lot of magazines with sticky notes on them that need some attention! Kat I forgot to ask, are you able to add me onto the Pinterest page for the Sew Along. Sorry to be so late, but I would like to join. I mostly sew from Burda currently, and have my eye on quite a few things I would like to try sewing this month. Hello Sarah! Welcome! Looking forward to seeing what you make. 🙂 We’ll get you added to the Pinterest board (if Mel hasn’t already done so!). I also mainly sew from Burda and have a whole stack of them! I think I will join. One question – may I use the Burda pattern or it has to be from the Burda magazien? I have a very forgotten pattern of manjacket I would like to make for my DH and it looks like great opportunity to force myself to do this. If yes – then YES I would like to join! Yay, glad you’re joining us! Welcome! 🙂 That pattern definitely counts. Wonderful! Thanks for info. As soon as I am back I start working on it. It will be good to have short break from my pants fittoing soap. Hi Kat.. 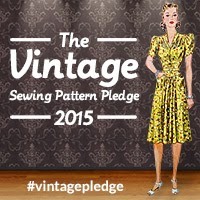 I found this sew along through Red Point Tailor Blog and I’d love to joint! Welcome Bella! 🙂 Do you use Pinterest? If you do, let us know your Pinterest details and we can add you to the group board to share your project(s). Hello! My interest I’d is hnordquist. I managed to make a Burda garment before I knew this was going on and would love to join in!!! Hi Heather! Welcome! 🙂 We’ll have you added to the Pinterest group very soon. Thanks to you **all** for this challenge, and for such wonderful follow-up informative blog references. Would never have finished without them!